Robert Martin Stuart Smellie (1927-1988) was appointed the first Cathcart Professor of Biochemistry in 1966 and was Vice-Principal from December 1987 until his death the following year. He was awarded a PhD and DSc by the University. The Smellie Prize is named for him. Born in Rothesay, Smellie was educated at Glasgow Academy and graduated BSc from the University of St Andrews in 1947. As a national serviceman he served in the Royal Scots Fusiliers and worked on the study of nerve gasses at the government research facility at Porton Down. He was brought to Glasgow in 1949 by Professor Norman Davidson as an assistant lecturer in the Department of Biochemistry and became Grieve Lecturer in Physiological Chemistry. 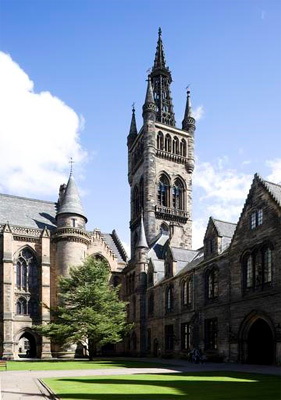 Smellie helped establish the University's reputation as a centre of biochemical research, particularly in his specialist field of nucleic acids, and his achievements were recognised by his appointment to the new Cathcart Chair in 1966. He became Director of the Biochemsitry Laboratories in 1972. Smellie was General Secretary of the Royal Society of Edinburgh from 1976 to 1986 and was awarded the RSE's Bicentenary Medal. Born 1 April 1927, Rothesay, Scotland.